I can’t wait for warmer weather! Seriously folks, I live in CA, it really never gets that cold, but my daughter hates sweaters, so if she’s wearing a cute little dress, she’s generally shoved some type of long sleeve top underneath that really doesn’t match and is incredibly bulky. Oh well, at least she’s wearing them! 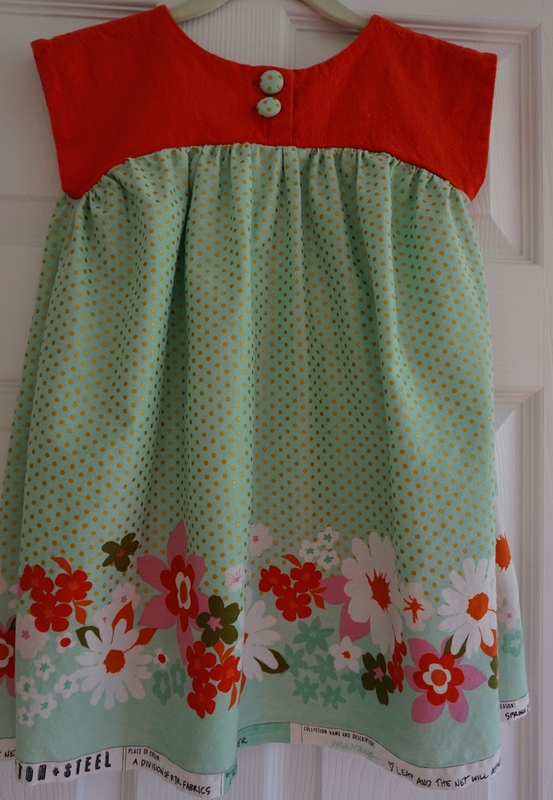 Sooooooooo…I’m sewing up some summer dresses to help me get past this desire and move on to sewing clothes for myself!! Yup, I’ve been waiting for quite some time to get rid of that post-baby/nursing body, and I think I’m just about there (well, realistically I don’t know but I’m getting impatient here!). Anyway, I love the Maggie Mae pattern! This time around I chose the Maggie dress that Shwin&Shwin remixed. It’s a fun variation on the Maggie Mae pattern. 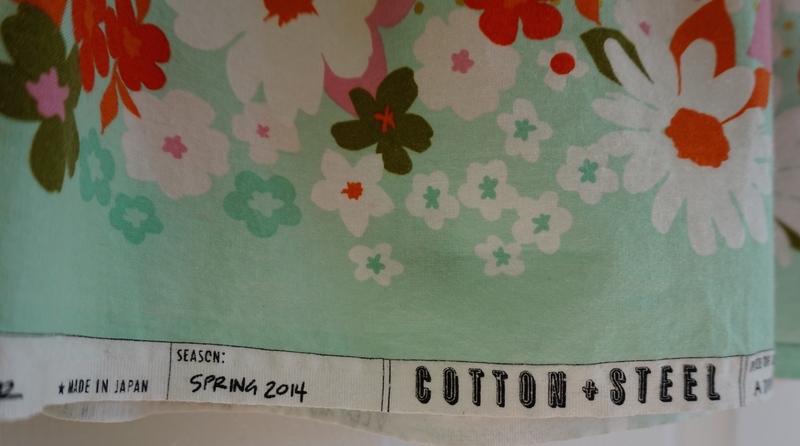 I had some Cotton + Steel fabric from last year’s Mustang collection by Melody Miller, and this great textured cotton fabric that I was dying to pair! When I tried the dress on my daughter to figure out how much I wanted to take the hem up, she insisted I just leave the selvage edge. She really loved it! 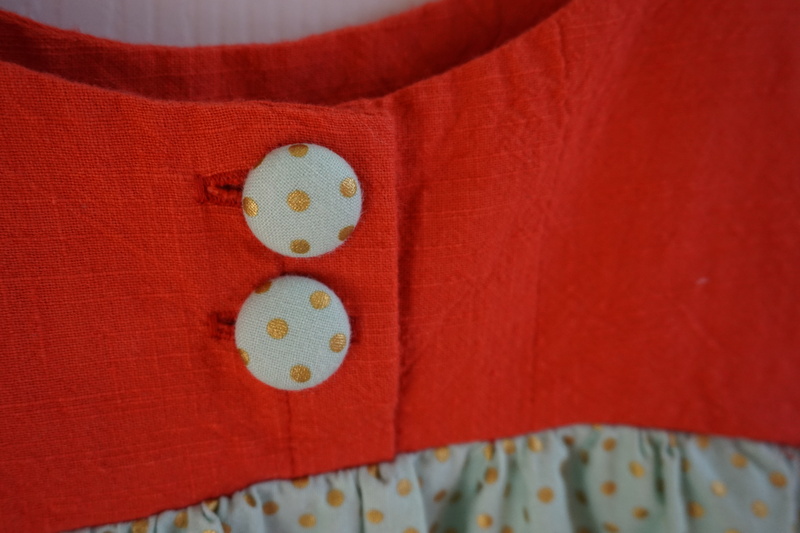 You’ve got to love fabric covered buttons! You can see the texture of the reddish fabric here too. Now off for a little sewing for myself!